For centuries, mannequins have been a staple fixture in the world of fashion. And indeed, these plastic human-sized dolls have come a long way beyond the windows of retail shops, tailors, fashion malls and jewelry stores. In the present times, mannequins are also used for medical trainings, computer simulations and even for crash tests, but that’s a different story altogether. As for the industry of jewelry merchandising and manufacturing, mannequins play a big role in showcasing and marketing your glitzy items. Furthermore, these larger than life dolls are more than just a steady jewelry display to hold your blings and gems in place. 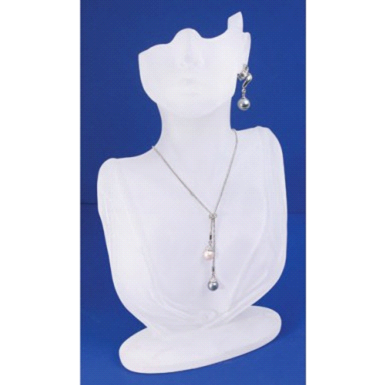 Here are some other advantages in using mannequins as your jewelry display. Of course, someone can always go to your jewelry store and ask you if he/she can try and fit that pearly necklace. On the other hand, having a mannequin can give you an overall peek of what exactly it would look like in a second person perspective. There’s even a study suggesting that customers will most likely to be attracted and encouraged to buy the item that’s being displayed on a mannequin. It’s a very useful and effective tool in merchandising because it “gives them a better understanding of what would look good on them”. Need more floor space for customers in your shop? Mannequins – full-sized or not – is one efficient way to save space. Just imagine how many items you can attach onto it. In relation, jewelry display can be tricky, as you must see to it that the items or ensemble that you’re flaunting must be in a spot where everyone can see it without compromising security. And since your entire collection is already on display – thanks to your mannequin – upselling other items is now more convenient and effective! What better way to exploit the use of this body form to your advantage, right? Need to revamp your jewelry collection for the next season? No problem! Mannequins can be easily dressed up as well as to dress down. Hence, replacement of articles, pieces and other adornments for re-styling is no longer a stressful issue for stylists and store owners as well. This is pretty much basic for all jewelry shop. Of course, all jewelries should be appealing and neatly showcased when displayed whether the presence of mannequins is required or not. Though, it would be more enticing and alluring to see those precious accessories as they dangle flawlessly on a mannequin rather than seeing it resting in a box. And besides, mannequins help maintain the jewelry’s form, which is very important especially when the items are being photographed for catalogues, brochures, ads and online shops. Thank goodness, holiday rush is finally over! It’s time to go back to the same bat routine. For sure, most of you are in the midst of re-organizing your store as you contemplate on whether to go for a long vacation or not. Granted that you may need to take a breather after braving the past busy months, keep in mind that there’s a business you need to run and attend to. And although this particular season will be relatively easy and a bit ‘boring’ for you since the spike brought by the yuletide rush has ended, after-holidays is the perfect time to come up with new ideas for your store to regain its rhythm. And if you’re feeling a bit bored after the holidays, here are some tips on how to step up and win back your store’s lost “mojo”. Since the sudden drop in sales will be expected within the first few months of the year since customers may want to steer clear on splurging for a while, the best you can do to generate profit during these dry months is to sign up and participate on trade shows, bazaars, conventions and expositions. And though you can’t seem make ends meet in selling your jewelry collection at these events, invest in yourself instead by making sure to acquaint yourself as well as your business to new people. That’s one way to expand your connections, market leads and even potential collaborators/investors. Trendspotting can be fun and informative, especially for store owners like you. You get to see celebrities, models and designers’ style tastes and predict fashion aspects like what will be the in-thing for the next months to come, appropriate accessories for black-tie events, and other fashion/jewelry fads. That’s why you have to be in-the-know because the next collections of jewelries to put on your jewelry display will depend on the latest style trends. That way, you get to know when to replace and replenish your stocks to ensure your merch is up-to-date in the world of fashion. In addition, this is also a great selling point for your customers to encourage them to buy a piece. Fresh start for New Year? You may begin by updating your store’s website starting from the layout down to the content… if you have one! If by any chance you’re still kicking your shop old school had haven’t taken the digital plunge just yet, then this may be the perfect time to test the waters by launching a website for your store! Might as well go further by going mobile as well! Since you’re updating pretty much everything in your store, this could be the perfect time to update your employees as well. And by updating, it means to cascade the changes made in the store as well as to discuss action plans for the coming months. Furthermore, you may also conduct mini-seminars and workshops to enhance their skills and learn something new about the nature of your business. As for you, got any other plans for your store as the first quarter of 2015 goes underway? Feel free to share your thoughts! Having a neat and well-organized craft room is extremely conducive to having a productive workday. It's essential to keep your materials and items in order so that you can simply focus on what matters most: having fun and creatively making your jewelry projects. The key to maintaining a clean, systemized craft room is to group similar materials together in similar storage solutions. For example, keeping all your beads in storage trays and then keeping your stringing materials together in clear, acrylic compartments help make it easier to remember where everything is. For a busy jewelry artisan, it's definitely a challenge sometimes to keep up with all the various materials and tools for making your pieces. Labeling shelves and jars also makes it a cinch to find items and put them back where they belong. 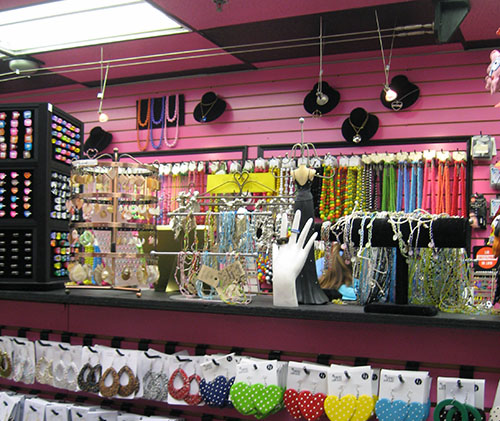 As far as smaller items such as gemstones and beads, grouping them by color or size is the best way to go. Add some dividers to your shelves or purchase compartments with preloaded partitions for more convenience. Lastly, don't be afraid to go artistic and stylish with your craft room! It's a place for you to get inspired and creative so why not convey that atmosphere? Putting your craft room together also doesn't have to be an expensive feat. Upcycle old mason jars or bookshelves, or visit thrift stores and swap meets for finding different and one-of-a-kind furniture and decorations. If you need more concepts on how to decorate your craft room, check out our Organization and Crafting Supplies Pinterest board for great ideas. 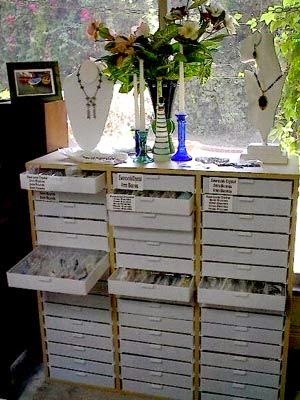 Storing and organizing jewelry materials don't have to come in dull and ordinary displays or compartments. Oftentimes when we want a little more oomph and stylish pizazz when picking our storage solutions. When it comes to specifically storing beads and gemstones, there is a particularly limited variety. One can find a wide array of generic plastic organizers and snap-top boxes. The minimal and common options just leave us wanting for more individuality. There are many jewelry, beads, and gem organizers out in the market right now, but nothing shows off more personality than our very own new Gem and Bead Stone Tray. This fresh arrival boasts six sizable compartments enough to fit your beautiful gems and beads. It comes with a flap that not only closes up to conceal your small articles but also serves as a stand for easy viewing. 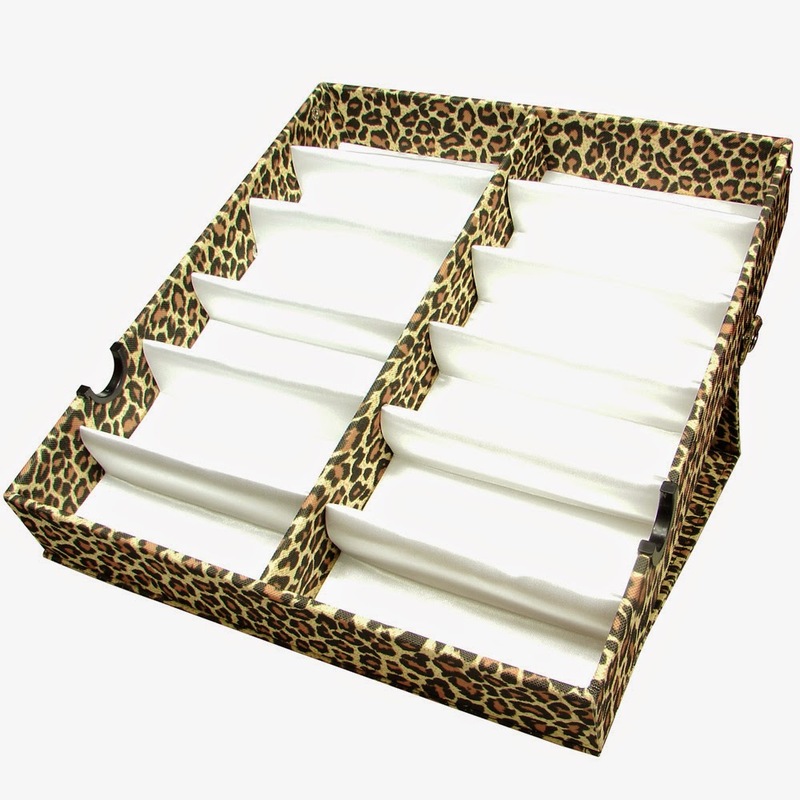 Our Gem and Bead Stone Tray also comes in two gorgeous styles: leopard print and camo pattern. These head-turning styles are very trendy and eye-catching, and are the perfect definition of form and function. Bring some excitement into your organizational routine with these fun and quirky patterns! Compartment Size: 6 1/8" x 2" x 2 1/8"
The most basic thing you'll need of course, is wire. 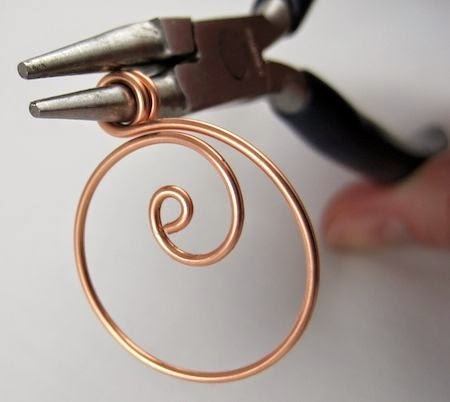 Copper wire is best to use for beginners as it is easily pliable. Check out our post about the different types of wire used in wire wrapping, for more in-depth information. You will need pliers for bending and manipulating your wire. For first-timers, round nose pliers and chain nose pliers are best. Round nose pliers are commonly used for making loops, while chain nose pliers serve many purposes. They are usually used as extra fingers for holding jewelry materials or in this case, for bending metal and wire. A specific wire cutter is best since you need to cut the metal as flush as possible. A regular pair of scissors or a knife is not recommended. Hammers or mallets are necessary for flattening or forming metal. Rawhide mallets are best, to avoid scratching or scaring it. You will need a measuring tool in wire wrapping. It's necessary so that you can accurately measure how much wire you will need to cut for your piece. Use a sharpie or any other marking pen to mark the wire for cutting or bending. There are different types of mandrels according to the type of piece that you want to make. Use a ring mandrel if you want to make rings, and use bracelet mandrels if you want to make bracelets-preferably an oval one. You will need sandpaper to file or smoothen the sharp end of a cut wire.